Oktoberfest is a global synonym for German beer culture. It’s doesn’t just portray the rich culture of Germany but also stands for the unity and diversity among the people. It’s a festival which originates from Munich but is also celebrated in some other cities of Germany as well nowadays. People from all over the globe come and celebrate this very special occasion with the German people. From the last recent years seeing the popularity of this esteemed German event, German organizations around the globe have been organizing the same in different parts of the world. This is a great way of bringing two countries together. The Indo-German relations are built on mutual trust and understanding and both the countries are doing great when it comes down to doing business with one another. This year the German Embassy New Delhi will organize a Oktoberfest in India on 3rd of Oktober 2013 which is also the German Unity Day. An approximate footfall of 1200 people is expected in the event. The attendees will be served with the our genuine Bavarian St. ERHARD beer and also will be given an option to choose from the variety in the delicious German cuisine. The whole setup will be in the theme of Oktoberfest with all the logistics imported from Germany, just in order to provide the attendees with the best of the original festive feel of Oktoberfest in India. Also the whole staff will be dressed in the traditional Bavarian attire which is Lederhosn for the males and Dirndl for the females. The whole campus for the event is created with the typical Oktoberfest tents, small kiosks, some amusement rides for both kids and adults. The event will start of by the special guests who will be greeted by the German Ambassador to India and his wife Mrs. Steiner. A brass band will be invited from Bavaria which will be performing live for the audiences while they will be enjoying the German beer and food at the same time. There will be wide range of German food including the very traditional pretzels from the south of Germany, potato salad, sausage salad and so on. Not only typical food will be served but also a lot of desserts will accompany the same. That will include the delicious German Kaiserschmarm, Apple Strudl (Pie), Roasted almonds and much more. 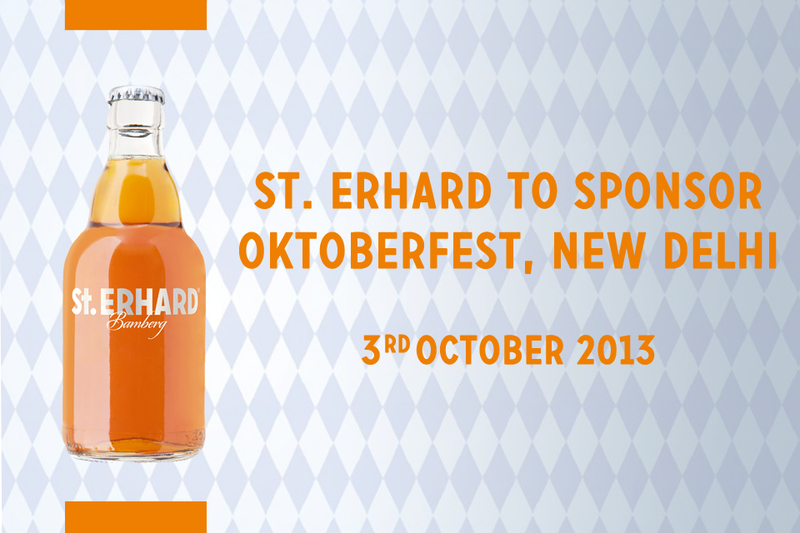 We at St. ERHARD are very proud to say that we will be one of the major sponsors of the Oktoberfest and the people attending the fest will get to taste it as well. Holi is a festival which is not only celebrated in India but also in many other parts of the world. People try to forget their personal grudges by throwing colors at each other and embrace everyone with warmth. Different colors signify happiness & joy of being together. This is a festival enjoyed by all kinds of age groups in India. From an infant to an adult, are seen singing, dancing and all covered with different colors. Holi is usually taken as an announcement of the arrival of spring and the passing of winter season. Days before Holi, markets in India get all flooded by colors of every kind. Buying these colors seems as one is bringing the joy and happiness to their homes and also in their lives. During this festival, one can easily get away by saying ”Don’t Mind, It’s Holi” which means practices which might be considered offensive are usually allowed as people are in a mood to have fun and it’s all taken light heartedly and in a teasing and fun filled manner. Today with this blog post, I will take you all through a brief history of why Holi is celebrated and what it signifies. “Holi” word derives from the name Holika who was the sister of the mythical king Hiranya Kashipu, who at that time commanded everyone to worship him. But his little son Prahlad refused to do so and instead chose to become the devotee of Lord Vishnu, the Hindu God. After this, the king Hiranya Kashipu ordered his sister to kill Prahlad as she possessed the power of being immune to fire. She picked little Prahlad and sat on fire. Prahlad, however, chanted name of lord Vishnu and was saved from the fire leaving Holika (Hiranya Kashipu’s sister) burning to ashes in that fire. This was the power of the supreme god which made that happen. Thus Holi is celebrated to mark the victory of good over evil, kindness over cruelty, light over darkness. I understand and value different cultures and traditions. 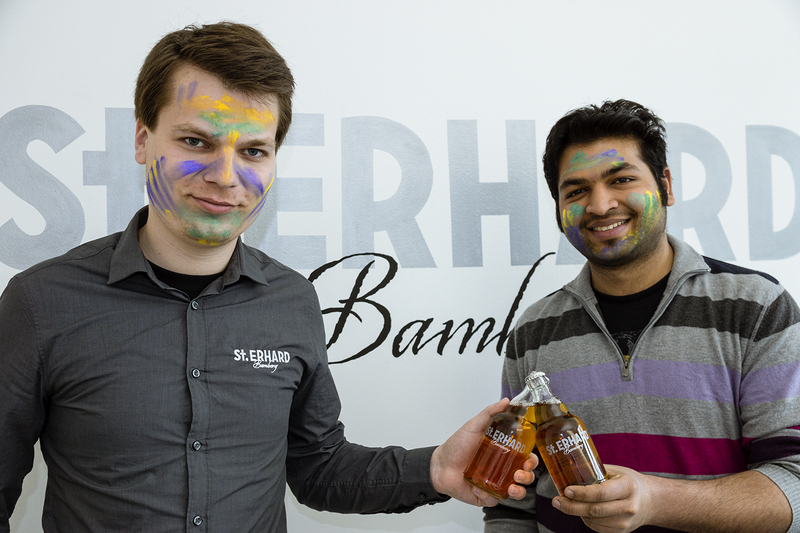 Like St. ERHARD brings German culture to India, Holi brings forward the beautiful message of unity and togetherness and spreads it all across the globe. I will be happy to answer all your questions and would love to discuss the relevance of various festivals & beliefs in different religions across nations. Do comment below and share your thoughts on the same.